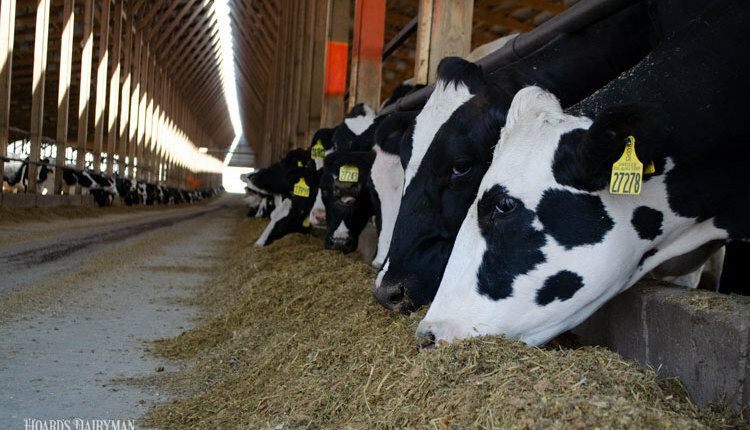 The business decision to purchase seed, grow, harvest, and then incorporate reduced-lignin forages into your high-performing dairy diets is more than a nutritional balancing act. 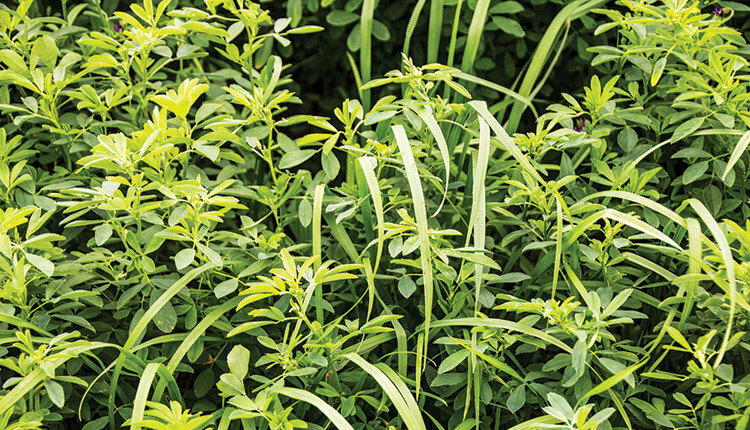 Reduced-lignin forages now include brown midrib (BMR) mutants in corn and sorghum, a transgenic option in alfalfa, and a number of conventionally bred forages. 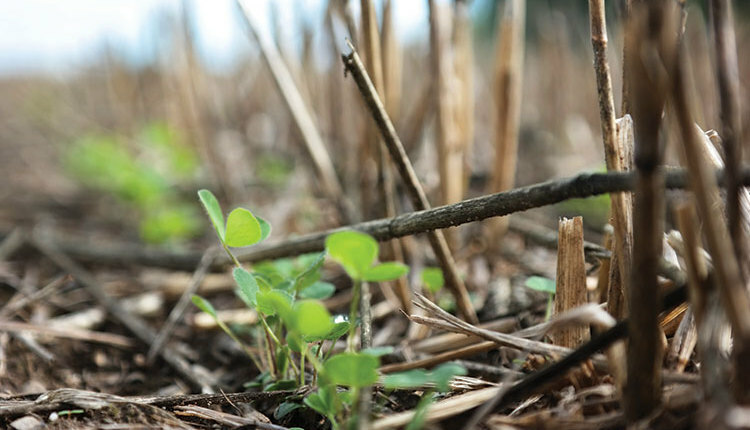 In working with and supporting forage management decisions over the past 10 years, we’ve long prioritized the yield versus quality balance in reduced-lignin forage economic evaluations and partial budgets. More recently, though, with plant disease pressure seeming to expand in some areas, we need to consider that lignin is also of benefit to the plant in the form of protection from disease — more on this dichotomy later. Nutritionally speaking, lignin is like the rebar in concrete. It solidifies the plant cell wall structure. Reduced-lignin forages make the most sense to consider in transition and high-intake dairy cow diets where gut fill and dry matter intake are paramount to health and performance. Lignin (and indigestible neutral detergent fiber; uNDF) can contribute to gut fill in a similar fashion as overeating at the all-you-can-eat pasta bar. 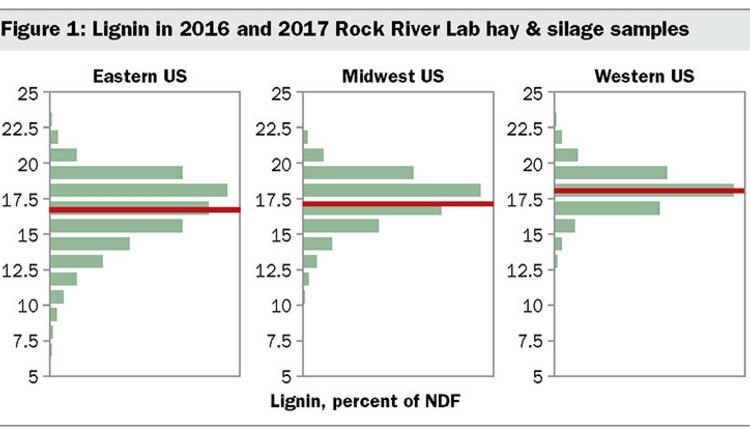 The reduced-lignin forage nutrition impact is relatively well understood especially when compared to other seed genetic technologies available today. For example, bm3 corn hybrids have been grown, fed, and assessed in numerous dairy feeding studies, and they demonstrated improved milk production performance when measured against conventional hybrids. Performance improvements often seem to coincide with substantial intake gains. It’s not clear if intakes drive performance or vice versa, but in most cases, feed conversion efficiency wasn’t evaluated. In today’s market, feed conversion efficiency needs stronger consideration in our nutrition programs as the market has been saturated with production globally. The yield impact and implications with reduced-lignin feeds are a hot topic but far from soundly understood. After compiling and summarizing several years of University of Wisconsin hybrid evaluation trials with corn (on.hoards.com/hybrids) and reviewing a recent University of Calfiornia, Davis study with reduced-lignin alfalfa, we’ve recognized lesser yields with reduced-lignin forages managed and harvested in similar fashions as conventional genetics in some cases. To me, this makes sense as lignin is imperative to plant integrity and health. Raw yield differences are less meaningful, though, and our goal needs to be to compare seed genetics on a digestible yield (digestible tons per acre) basis. Work with your nutritionist and seed advisers on this concept and calculate digestible yield. 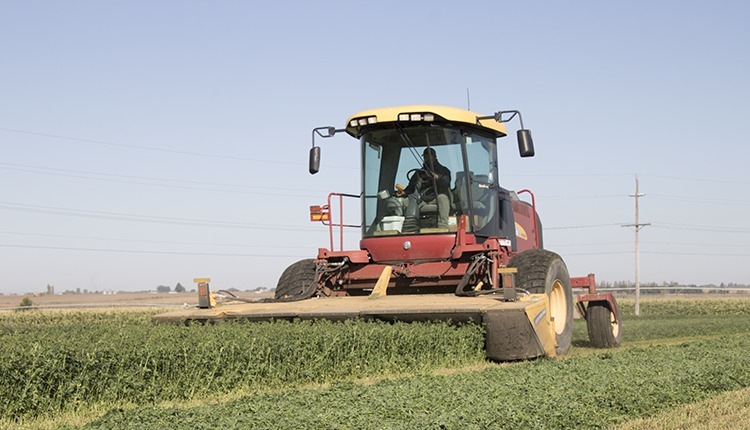 With alfalfa, there is also the potential to extend the cutting interval or harvest window and maintain quality as shown in the University of California, Davis study. This warrants further investigation and could prove to be a sizable risk mitigation strategy for growers. 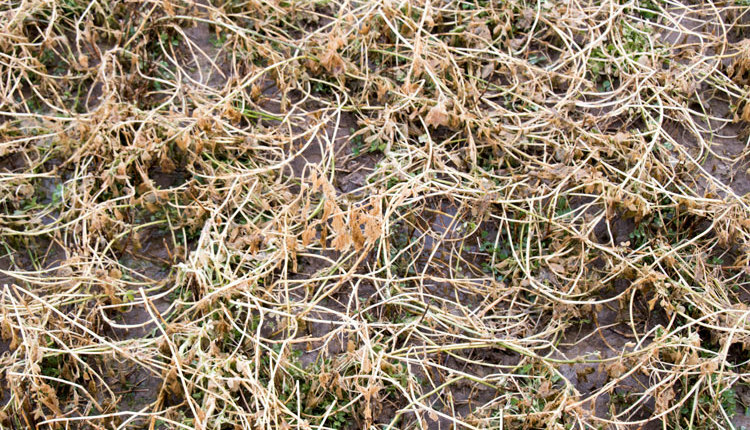 Plant disease resistance deserves a growing amount of attention as many are experiencing more plant pathogen pressure each year, and “clean feed” is a new focus. Take, for example, a new fungal plant pathogen called Tar Spot that has emerged in many corn growing regions of the Upper Midwest. According to Damon Smith, University of Wisconsin-Extension plant pathologist, the only preventative measure currently known to limit its effect are disease-resistant hybrids. Smith has also taught that stalk strength can be a proxy for disease resistance where disease ratings aren’t available. Lesser stalk strength would equate to greater stalk rot susceptibility, and reduced-lignin hybrids typically exhibit reduced-stalk strength. According to USDA-ARS Research Plant Physiologist Ron Hatfield, one of the plant’s defense mechanisms to insect or fungal damage is to lignify around the damaged region. With a reduced ability to lignify, the plant is also less apt to protect itself from damage. Thus, reduced-lignin corn hybrids are likely more susceptible to plant disease and damage. Additional crop protection investments should be considered, while monitoring crop health during the season is a necessity. 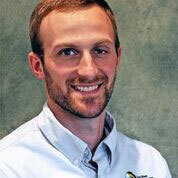 The bottom line is that nutrition, disease resistance, and yield must all be considered in hybrid selection. 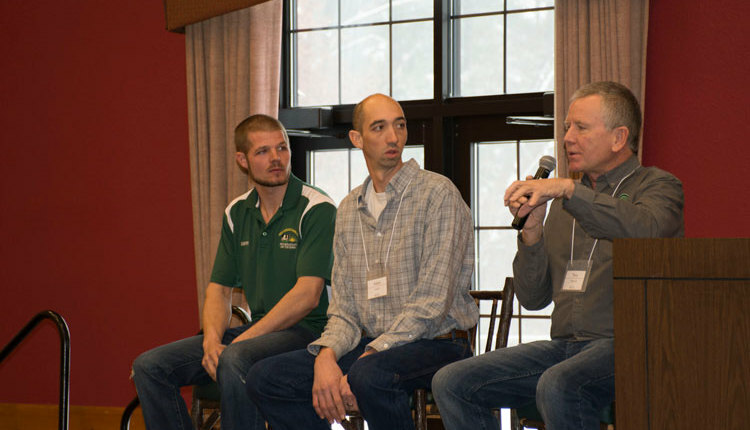 Over the past 10 years, brown midrib corn silage has been a hot-button topic with producers and industry consultants. I’ve stressed balancing yield and quality, yet we need to transition to better balancing yield, quality, and plant health. What used to be a teeter-totter is now like balancing a plate on a stick, and that act is increasingly complex. Further, as nutritionists, we need to ensure we’re including feed conversion efficiency within our assessments. 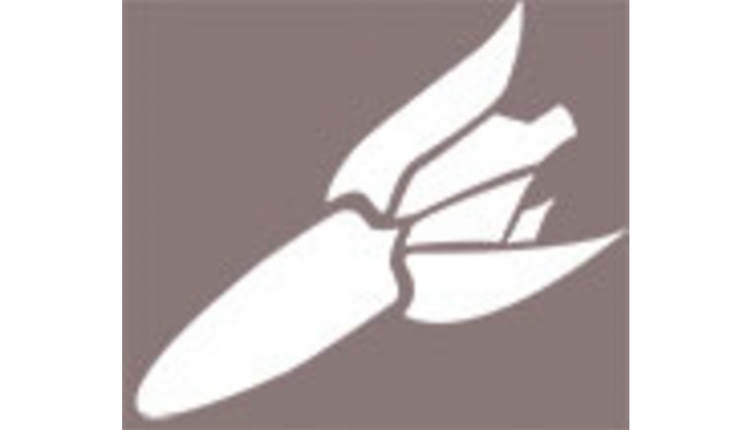 To review, work the following items into your partial budgeting approach and value-centered decision-making process: 1) seed cost, 2) fertility and crop protection input needs, 3) yield, and then 4) nutritional quality and feed conversion impact. Consider risk in your evaluation as well. This could be lodging potential or the capability to maintain quality following longer cutting intervals when weather delays harvest. Yield and nutrition quality need to be assessed on your farm, under your growing conditions and management. 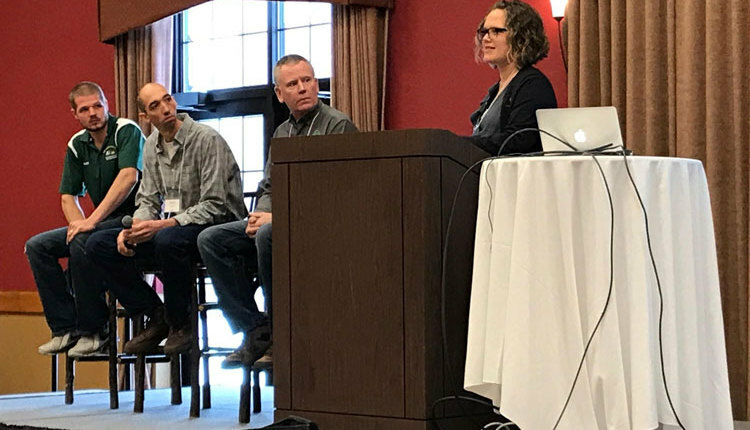 Bring your nutritionist, seed adviser(s), agronomist, and crop harvest team to the table to plan plots to test new seed genetics, and then work through the budget and balancing act together.